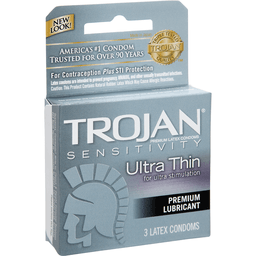 Trojan® Sensitivity Ultra Thin Premium Latex Condoms. America's #1 condom trusted for over 90 years. 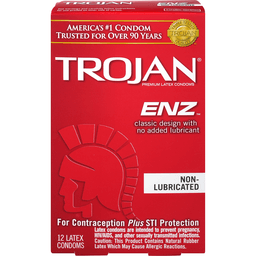 Trojan® triple tested quality. For contraception plus STI protection. Latex condoms are intended to prevent pregnancy, HIV/Aids, and other sexually transmitted infections. For ultra stimulation. Premium lubricant. Premium lubricant. 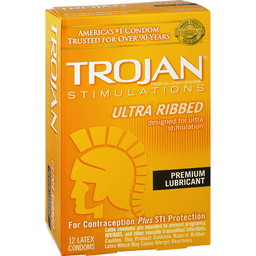 Thinner than standard Trojan® latex condoms - Designed for a more natural feeling. Made from premium quality latex - To help reduce the risk. Special reservoir end - For extra safety. Each condom is electronically tested for strength -To help ensure reliability. 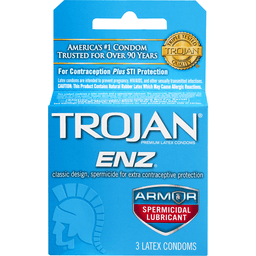 Always insist on Trojan®... America's #1 condom trusted for over 90 years. Questions, comments Write to: Church & Dwight Consumer Relations, 469 North Harrison St., Princeton, NJ 08543. ©2009 Church & Dwight Co., Inc.